Shentel is the largest Sprint PCS affiliate in the United States and currently provides wireless service to approximately 1,200,000 customers. As an affiliate company, Shentel has exclusive rights to provide Sprint wireless service to certain markets. Shentel currently serves a four-state area – including markets within Virginia, West Virginia, Maryland and Pennsylvania. Shentel builds and owns the network and owns and operates the Sprint retail stores. Shentel is also responsible for local customer service and directs local advertising and promotions. Even as devices change and technology improves, the majority of Shentel customers still consume their entertainment from television and we provide the best channels at the most competitive price. In addition to offering the best in HD programming and HD/DVR service, Shentel also has a whole-home gateway system called TiVo which gives customers all the great features of TV plus streaming services and full recording capabilities. Shentel remains focused on building long-term value and continuing to pursue improvements, diversification and growth opportunities. Shentel provides high-speed broadband Internet to primarily rural areas throughout Virginia and West Virginia and in Western Maryland. With speeds up to 150Mbps, Shentel Internet brings power to customers who are demanding more from their Internet service. Bringing service to rural customers is a familiar path for a company that started in 1902 as a telephone cooperative. For some telecommunications companies, winding roads and mountains, small communities and big rivers challenge their ability to offer service. These obstacles are considered opportunities at Shentel. Telephone service is the root of all things Shentel. Today’s crystal clear quality no longer resembles its ancient ancestor, except that – more than 100 years later – telephone service is still about making connections. 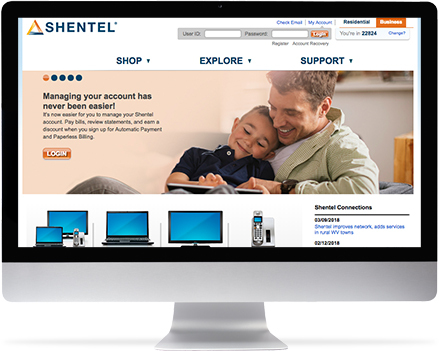 Whether calling the neighbor down the street or chatting with a friend on the other side of the nation, Shentel continues to provide the most reliable and effective telephone service. 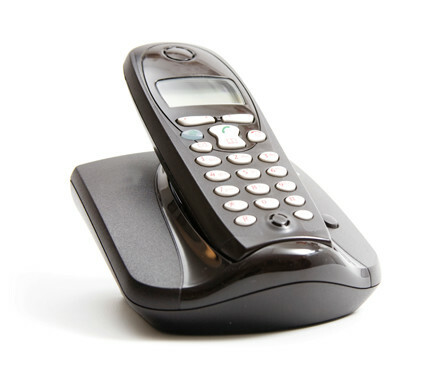 With local and long distance options and various features you can’t live without (like Caller ID and Call Waiting) Shentel has a home phone package that can be designed to fit the need of each customer.